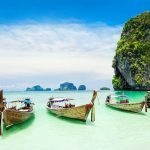 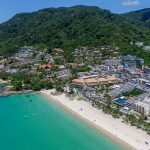 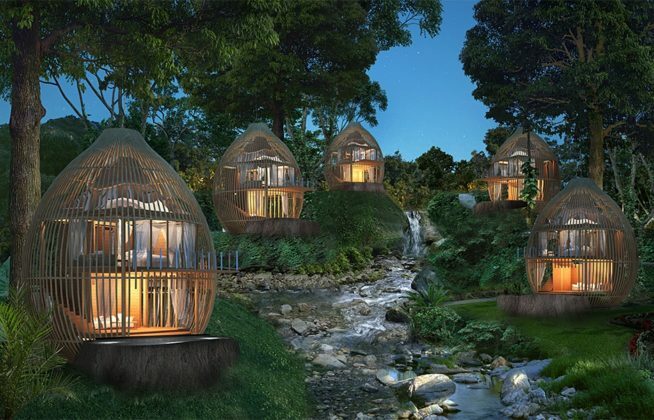 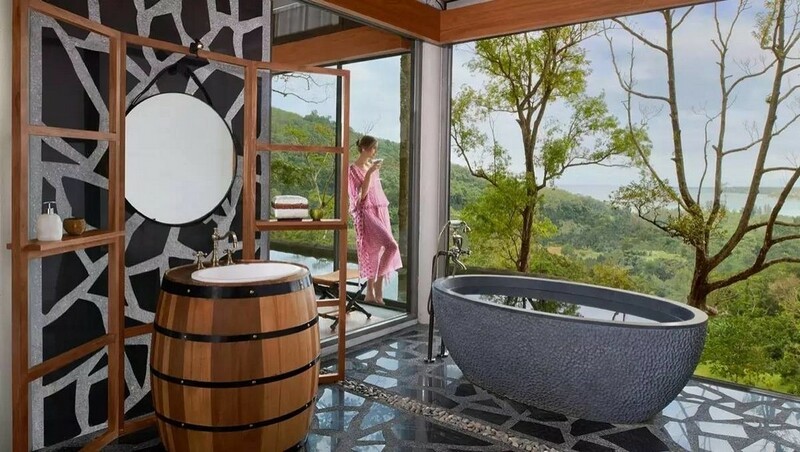 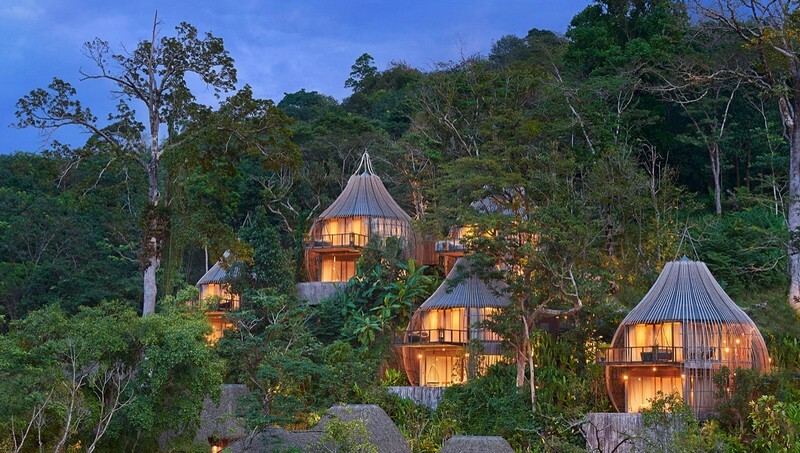 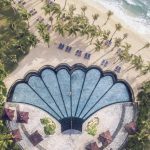 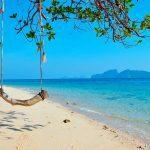 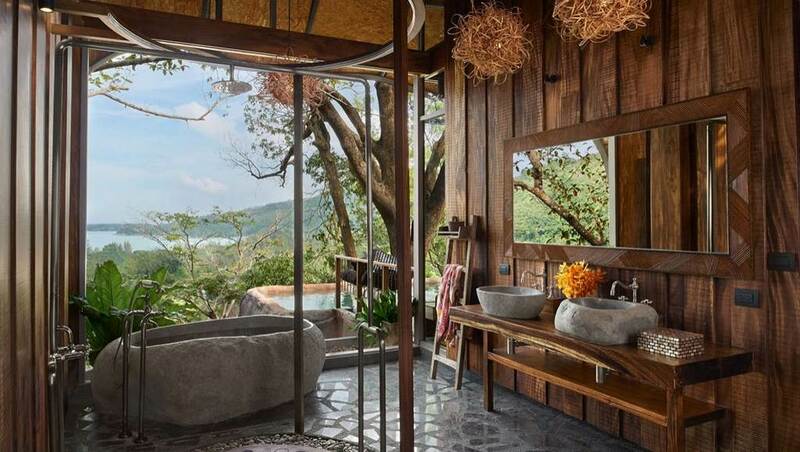 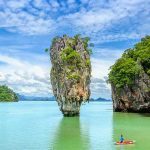 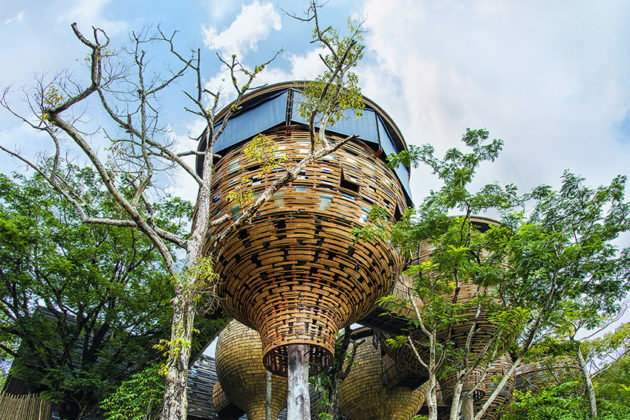 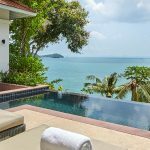 Explore Keemala resort — The beautiful Keemala's Bird's Nest in Phuket - Living + Nomads – Travel tips, Guides, News & Information! 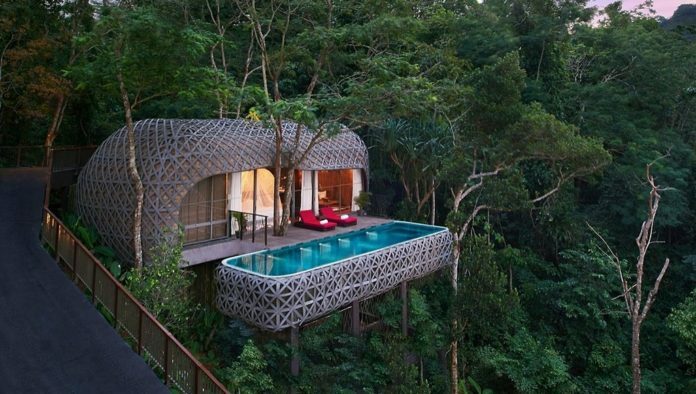 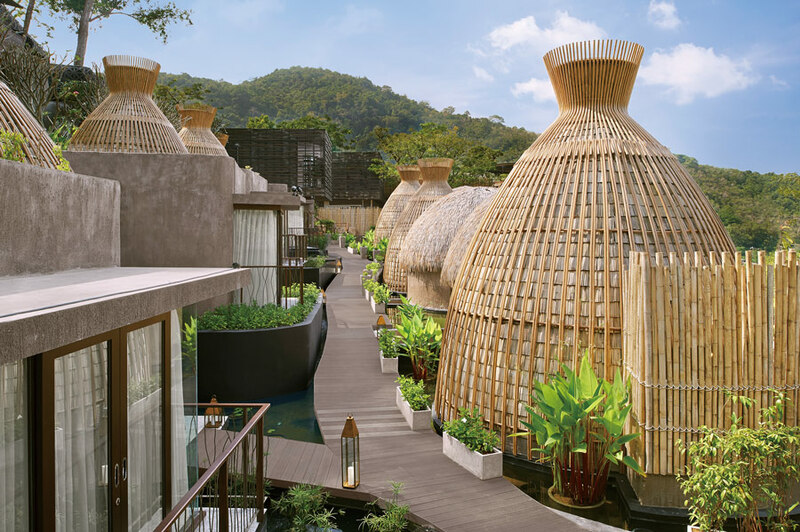 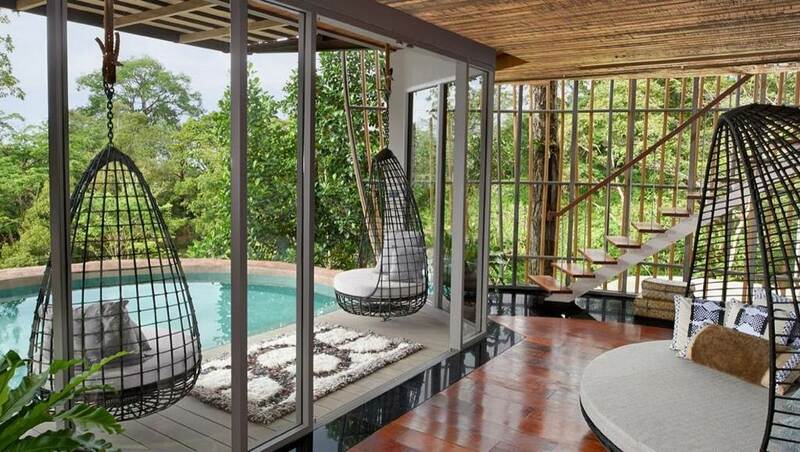 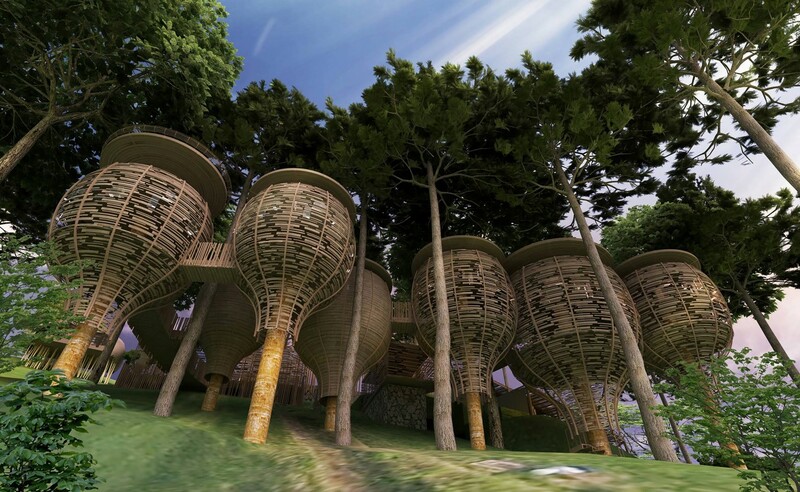 Keemala Resort is located on a hillside surrounded by the natural plant, overlooking Phuket’s Kamala Beach, Thailand. 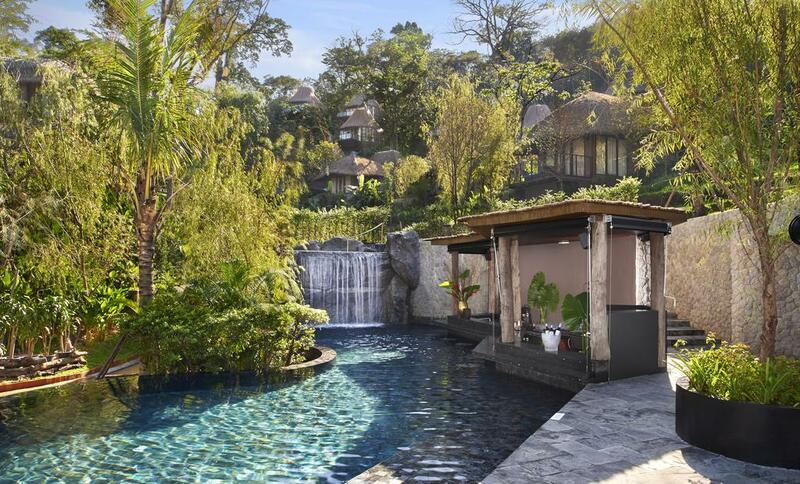 The place attracts visitors with dangling houses, lively pools, luxury restaurants and excellent spa services. 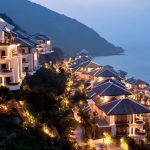 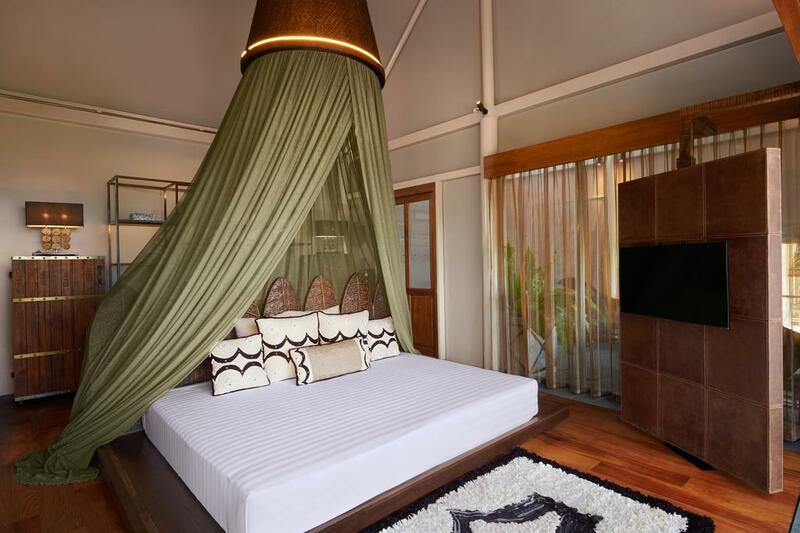 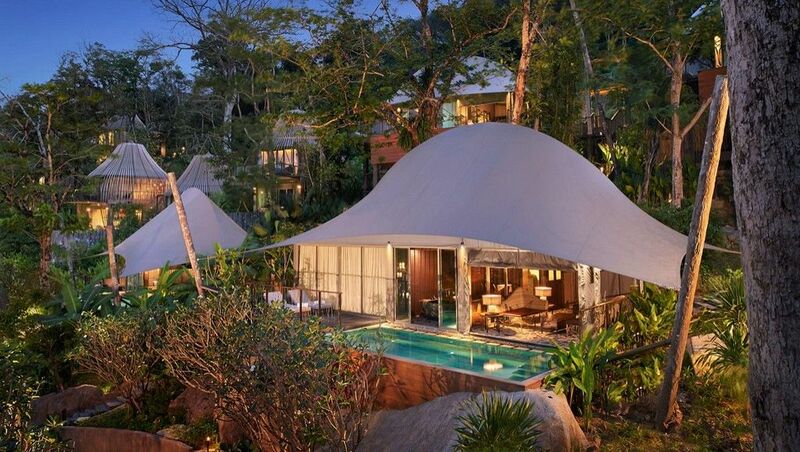 The Keemala Resort is located at the top of the greenery of Kamala Beach – the beautiful northwestern coast of Phuket. 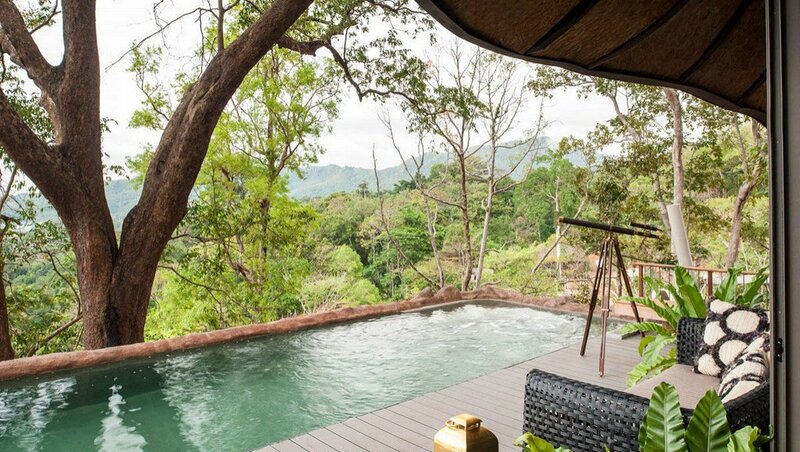 From the airport, you will take about 45 minutes to drive here. 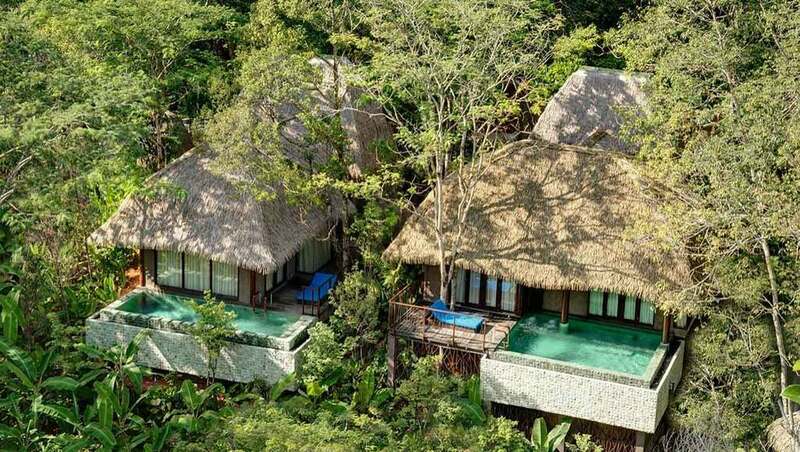 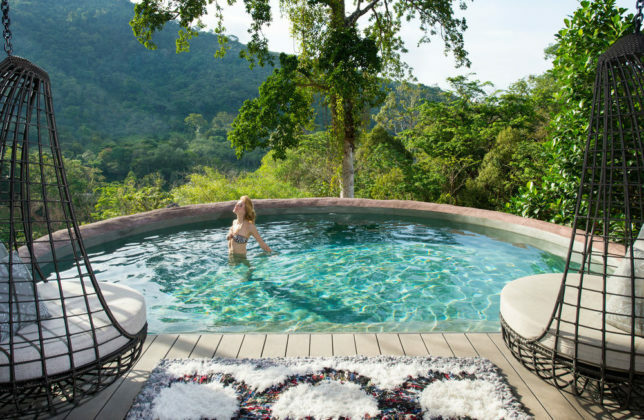 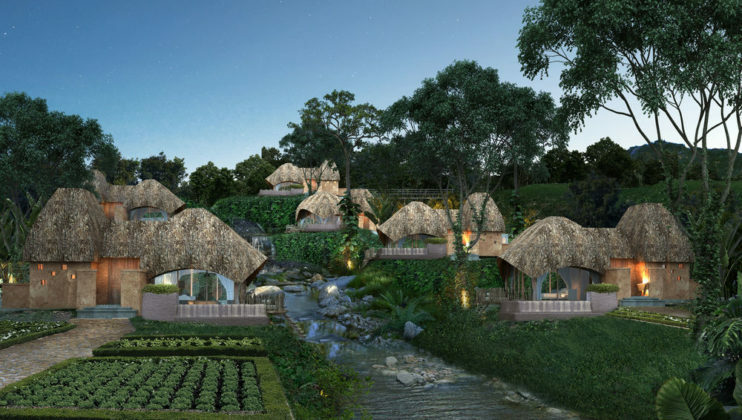 Nestled in the lush forests of the wilderness, visitors who come to Keemala, they can enjoy the tranquility and seclusion beyond the bustling sea. 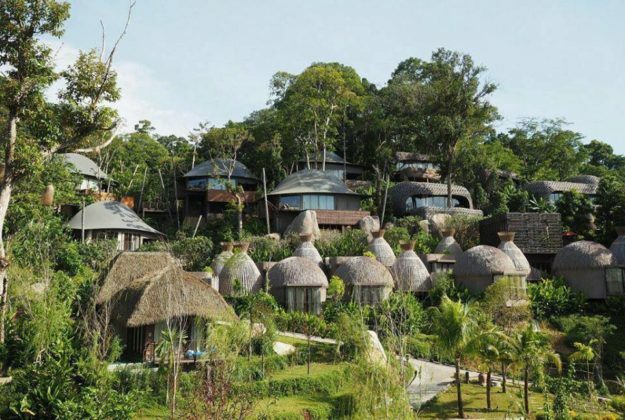 The most impressive of the Keemala resort is its unique design as a rustic little village that reminds visitors to remember for the Hobbit’s house in the movie The Lord of the Rings. 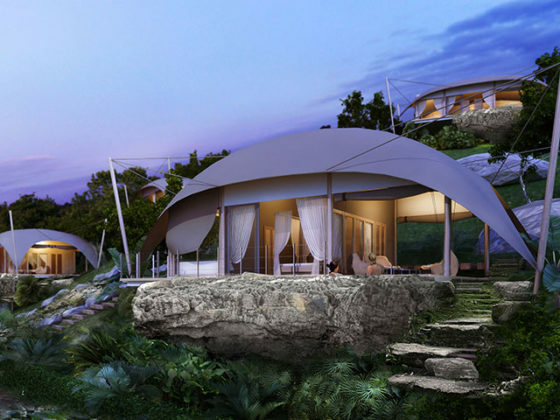 The whole resort has 38 different villas with four main designs: cute little villas with pool for travelers; The African tents enjoy the wild nature; Two-floors villa which is designed by blob shape; and the unique bird nests. 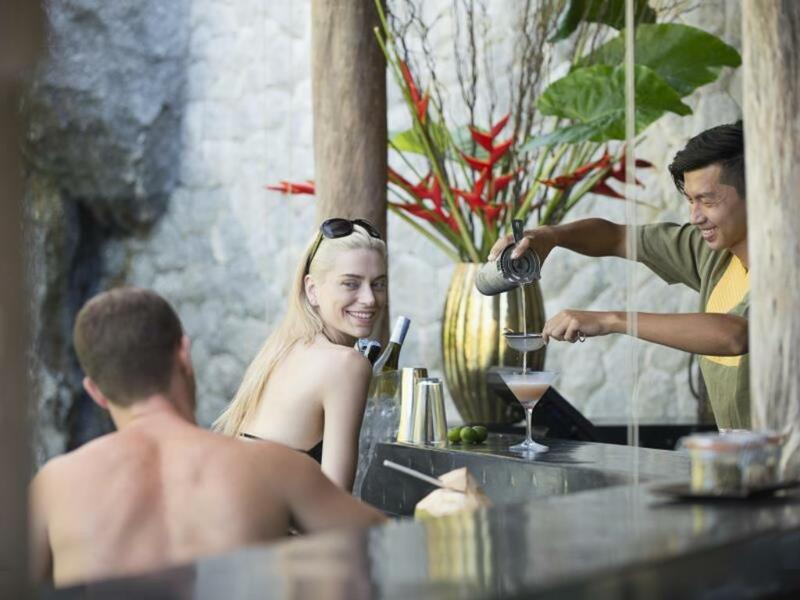 In each apartment, there is an infinity pool with waterfall, mini bar to help you enjoy the cool blue water in the cool air of the sea breeze and of natural grass. For those who would like to bath really, the resort’s free shuttle service is available to pick up guests to the shimmering white sand of Kamala, just 5 minutes away. More thoughtful, each villa will have its own jemadar, they will care and provide services to visitors. 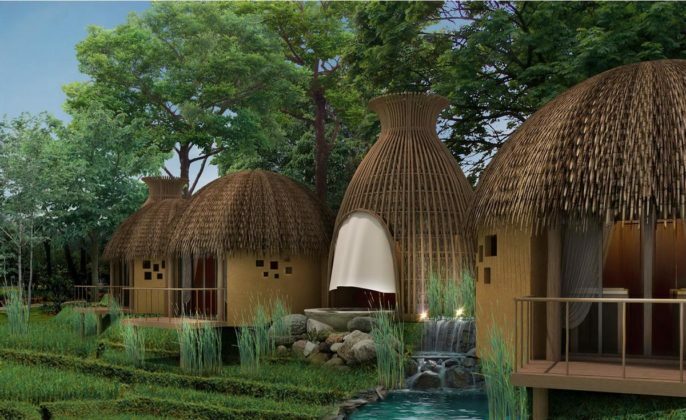 According to the introduction of investors, take Keemala resort towards health care of customers. 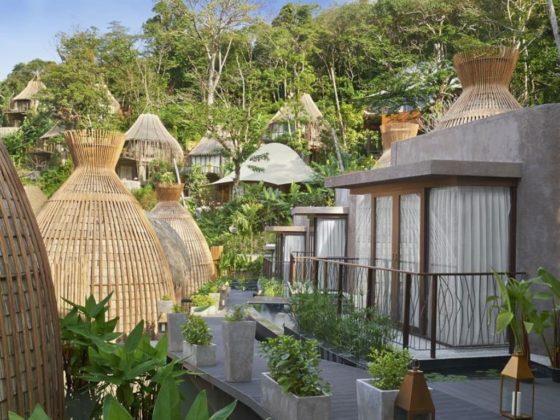 The natural-friendly design of this resort gives a very peaceful feeling. 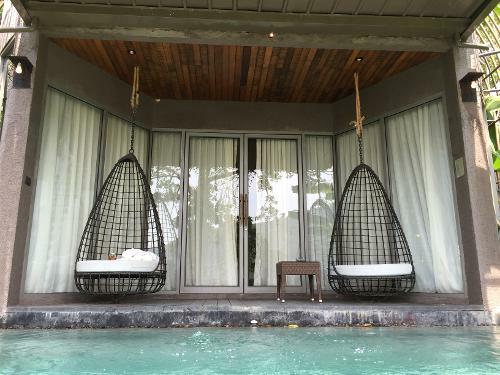 Thereupon, the holidays here will help you regain balance, rejuvenate and relax the mind and body. 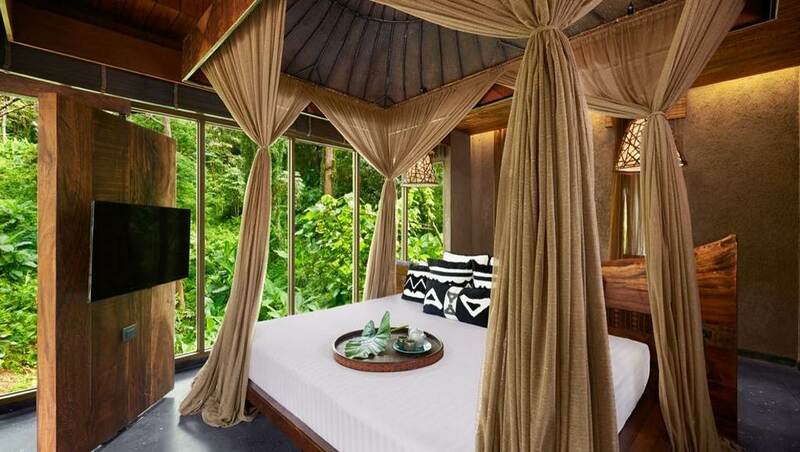 Special, the couples like this place because it is a separate space, located in the beautiful and absolute romance forests. 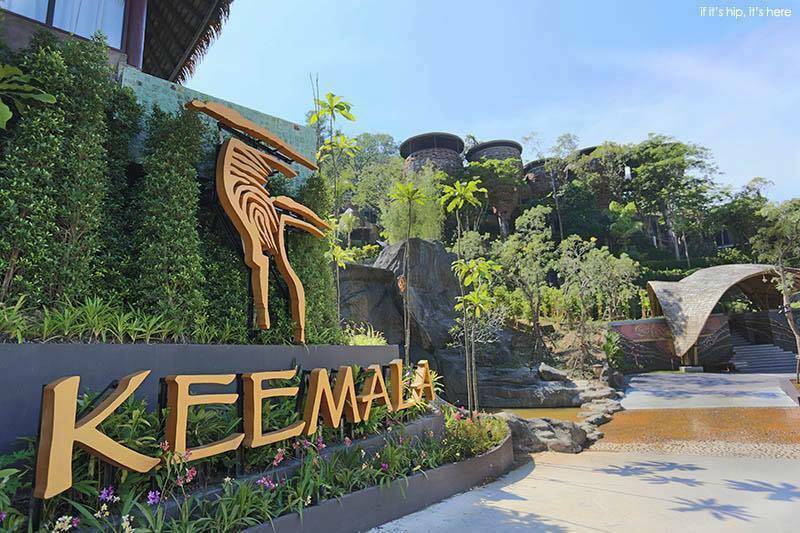 As a high-up resort, Keemala has a lot of rich and useful services. 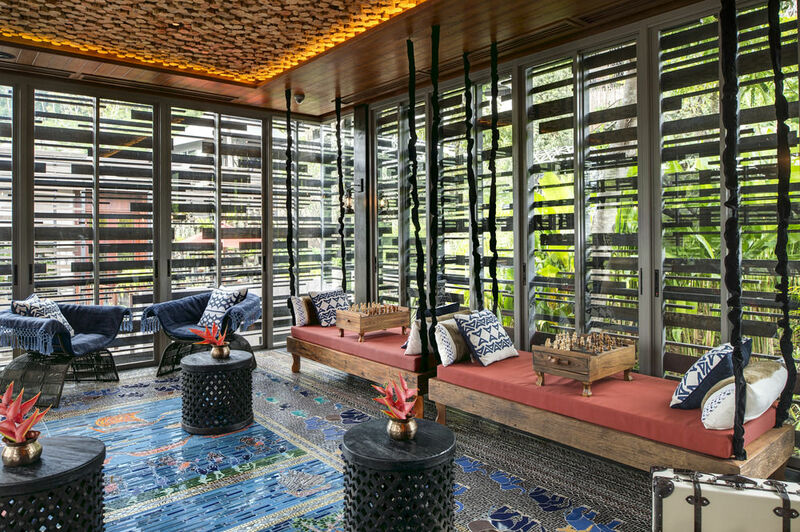 First of all, including the well-equipped gyms, free Yoga classes, Muay Thai, all are free daily. 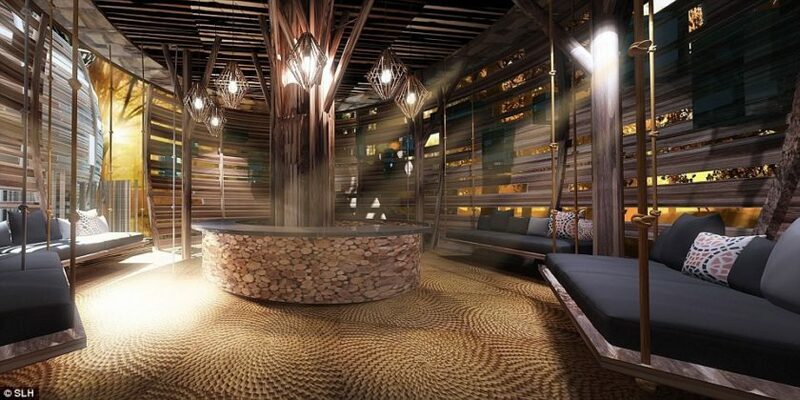 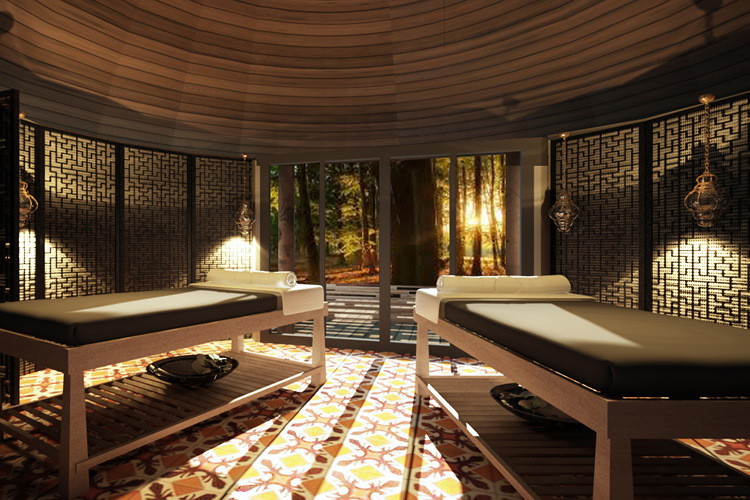 Next, the Mala Spa is a great place to enjoy a comfortable feeling, relaxing, body-rejuvenating massage. 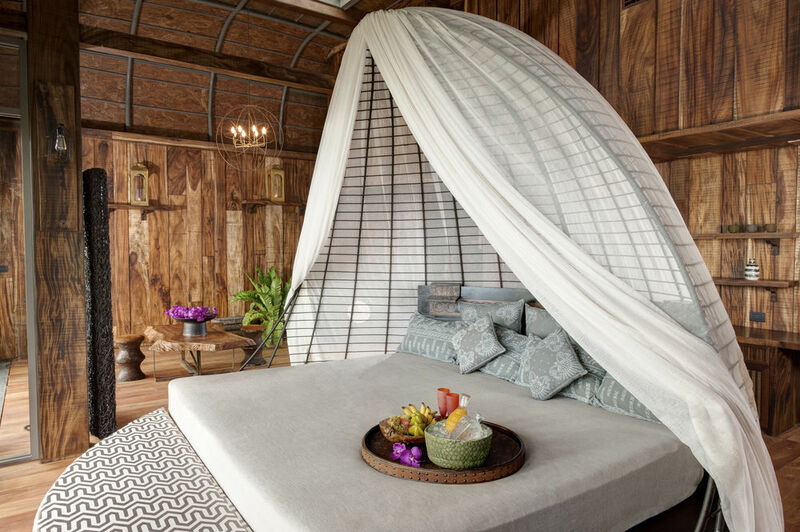 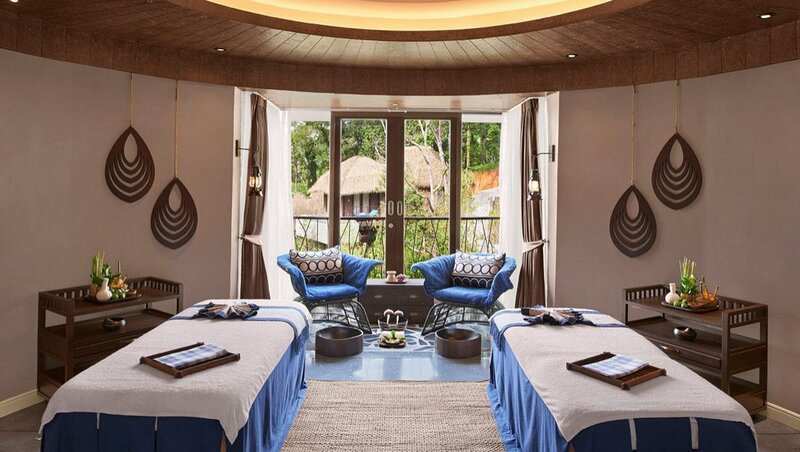 Having eight treatment rooms with harmony design, Mala Spa provides traditional Thai treatments with completely natural products from Siam Botanicals. 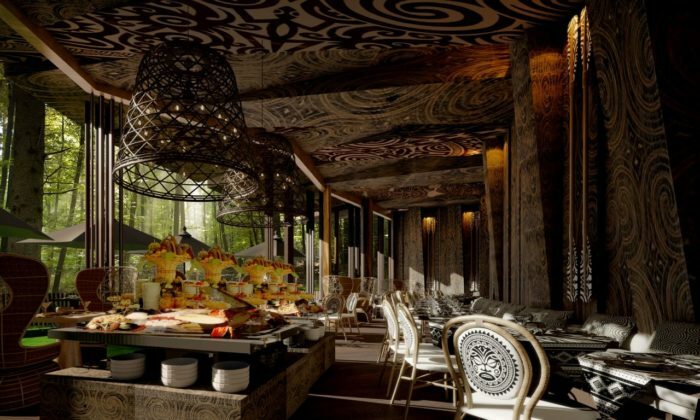 The Keemala resort also features “Su Tha” restaurant serving Thai, Indian and other international dishes. 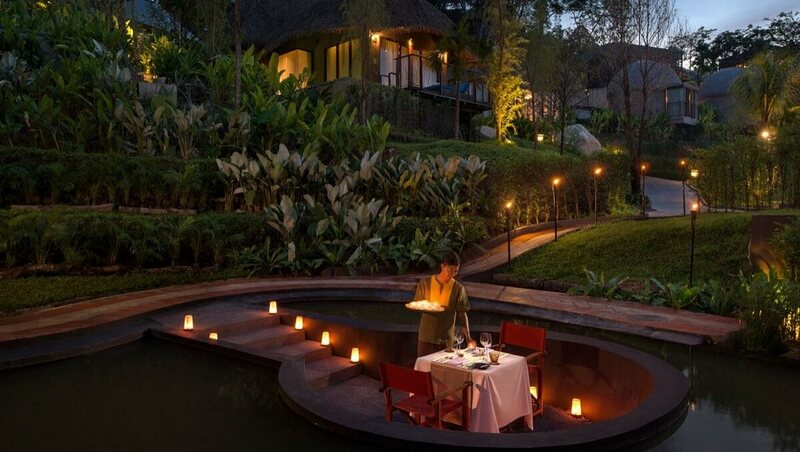 You can enjoy meals in the room or by the pool to change the scenery. 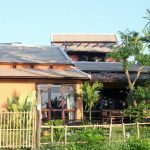 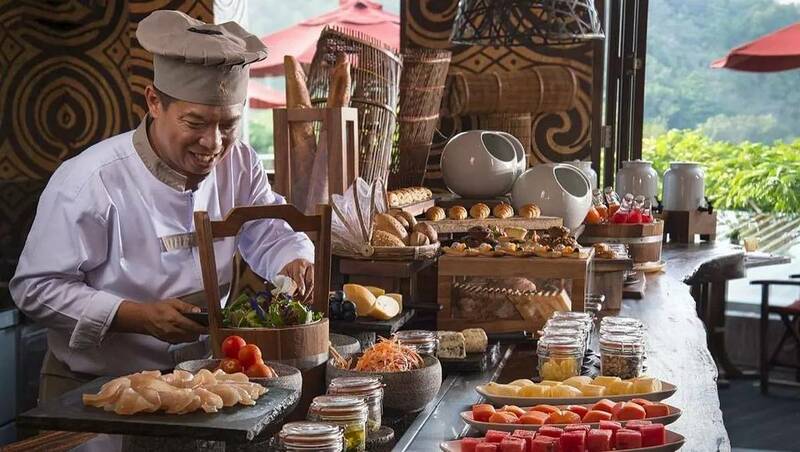 Su Tha also offers “Healthy Living” menus that are low in calories, using ingredient from nature, rich and varied ingredients as part of very good therapies for visitors. 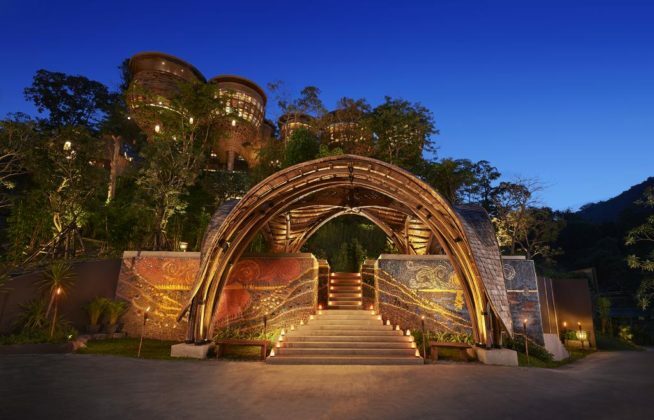 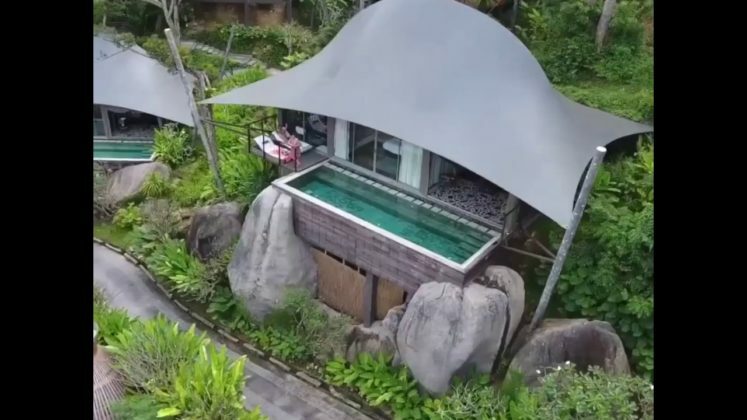 According to a recent Telegraph review, the Keemala Resort can get a 9/10 rating (Location: 8 10 points, Style, and uniqueness: 10/10, Service and facilities: 9/10, Spa: 8/10, Room: 10/10, Food and drink: 8/10, Price: 9/10).